MITCH Hannan says he wasn’t expecting to be drafted by Melbourne in the 2016 NAB AFL Draft on Friday night, even though national recruiting manager Jason Taylor had sounded him out in the lead-up. 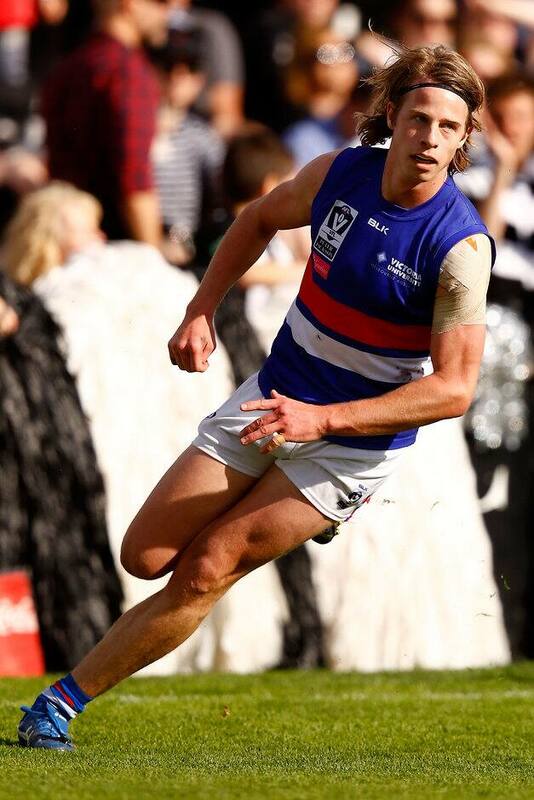 Hannan, who was drafted with the club’s first pick at No.46, after playing in Footscray’s VFL premiership over Casey Scorpions at Etihad Stadium in September, said he couldn’t believe how it had turned out. “I got a call this morning (Friday) from Jason and he didn’t really give much away – he was just checking up on how I was going. I knew Melbourne was somewhat interested, but I didn’t know by how much extent,” he told melbournefc.com.au. “So I got home from work at about seven o’clock [on Friday night] and I had my Mum and Dad, and my two sisters and their boyfriends there, plus a couple of mates. Hannan said it was a little bit strange to now be playing with the likes of Clayton Oliver, Sam Weideman and Alex Neal-Bullen, who were opponents in this year’s VFL Grand Final. “It’s a little bit ironic that I’ll be playing with them after playing against them, but I’m definitely looking forward to playing with my new teammates – it’ll be great,” he said. The midfielder/forward, who possesses speed and endurance, is also a noted high-marker. But he said his ability to take a speccie only grew as the season progressed. “I’ve always been a reasonable jumper, but not necessarily known for taking hangers,” he said. Away from the game, the 22-year-old has already made an impressive start to his working life. “I’m practicing in an architect’s firm, but I’m not a registered architect. I’ve been there a week shy of a year,” he said. “I’ve been doing drafting-type work underneath an architect. I’ve gone from sitting in an office for almost a year, plugging away at a computer to running around out on the track, so there is quite a big difference. “I was looking to get my registration as a building designer, which would qualify me as a draftsperson and then my plan was to go back to uni next year and do a bit more study and project management.